A good toner can do a lot for you. Toners soothe the skin while removing small traces of dirt and grime that clog your pores, later causing breakouts. Additionally, they also balance your skin’s pH while adding a protective layer against harmful pollutants in the environment. These little skin care miracles deserve a spot in anyone’s skin care routine, but we think they’re especially essential for those of us with oily skin. We’ve rounded up a few of our favorite toners for oily skin that are rockstars at oil control, pore shrinkage, and helping you achieve the cleanest and clearest skin possible. Blackheads and acne scars? This toner is for you! It’s incredibly gentle on skin while eradicating the dirt and pollutants that cause breakouts. Holy Cow’s formula contains essential minerals that increase your cells’ energy production. We recommend misting this toner onto your face after cleansing and letting it air dry. When looking for a toner, make sure you grab one that’s oil-free, like this one. It dramatically and visibly reduces the appearance of oil on the skin while soothing and hydrating your skin. Bonus: it’s pH balanced and paraben-free. Lightly massage it into the skin after cleansing. Our own toner purges your pores of pollutants, oil, and dirt without drying out your skin. While other toners for oily skin may actually strip away your skin barrier over time, our Clear Face Deep Cleansing Toner works hard to rebuild and maintain your acid mantle. It even contains moisturizing ingredients to combat dry skin. Once you’ve washed your face, put a small amount on a cotton pad and dab onto the skin. This toner by Clinique goes above and beyond, acting as a mild exfoliant with its cooling formula. It clears up your complexion and ensures a smooth application of makeup and moisturizer. We suggest applying the lotion to a cotton pad and sweeping the products across your face and throat after washing. For those of us with mature, aging skin, it may not seem like a toner is necessary. However, older adults may have overactive sebaceous glands and thus need one of our toners for oily skin. The formulation of Skin Laundry’s Clarifying Toner contains antioxidants, which slow down the aging process and prevent future skin damage. We recommend applying it twice a day before moisturizing your face. 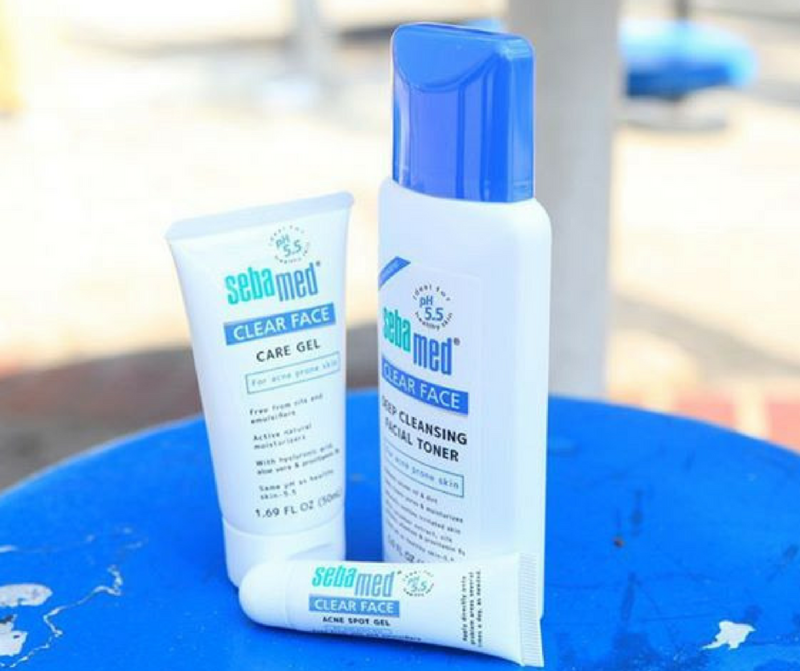 If you have oily skin, Sebamed is here to help. We offer toners for oily skin, solutions for breakouts, and a wide range of products suitable for sensitive skin. Check out our complete collection here.